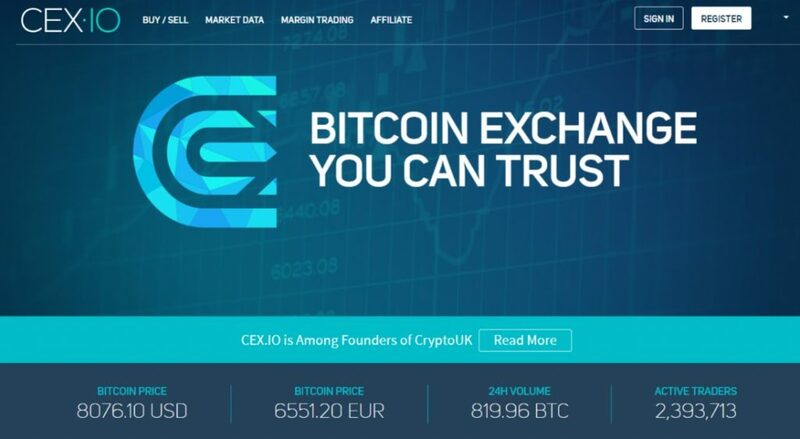 Initially London-based Bitcoin exchange CEX.io has a long history. It was originally founded in London in 2103 as a BTC exchange and cloud mining provider. The company is one of the first cryptocurrency exchanges on the market. Following the closure of cloud mining pool Ghash.io which was part of the network until 2015, CEX.io continued operations mainly as bitcoin-centered exchange. CEX.io has user base from all over the world with company offering legitimate services in most of the countries and 25 US states. The CEX.io exchange is registered with FinCEN in the US, and with the ICO in the UK, and also incorporated as a private limited company in the UK. The company is therefore obliged to abide by the Know Your Client (KYC) and Anti-Money Laundering (AML) policies, which requires all CEX users to verify their identity with the company upon registration. The verification process involves providing CEX a telephone number, an email address, setting up a password and then proceeding to verify both the email address and the telephone number. For clients with verified account, CEX offers a 2FA (two-factor authentication) system, using either an automated phone call, SMS, or via the Google Authenticator app. CEX.IO has a good trading technology and supports around 400,000 traders monthly. With such pool of traders and more traders joining every-day, the platform can take pride in having lightning –fast transaction processing technology and powerful API which users can gear to their needs and preferences. What differentiates CEX.io from the crowd is the ability to execute trades on margin on a selection of cryptocurrency pairs. The margin trading is possible with 1:2 and 1:3 leverage. Once you have registered and verified your identity with CEX, you can buy bitcoin or ethereum via wire transfer, credit/debit card or, if you live within the EU Economic area, a SEPA transfer. It is then easy for you to add your credit or debit card to your CEX account. Credit and debit card verification can take up to 2 business days but, after completion, you can buy Bitcoin and Ethereum instantly with your CEX account. You can also fund your CEX account via bank transfer. The company currently accepts US Dollars, Euros and Russian Rubles. Fees for bank transfers in USD or EUR are a flat transaction fee of 10 USD / EUR. Once users enter any trade, CEX estimates the price of the trade and freezes the particular price for two minutes. Users then enter how much Bitcoin or Ethereum they want to buy at that price and are shown how many cryptocurrencies they will get. Once users click the Buy/Sell button, to ensure that they have the sufficient funds to execute the transaction, the CEX system will check the user’s account. After completing this process, CEX will execute the transaction, given that the order can be performed on conditions not worse than the ones agreed on. Hence, if the market price has gone down, the trade will be performed at the more favorable rate. However, if the exchange rate has surged within the period since the user entered the trade, the transaction will not be completed, and the user will be informed. What makes CEX.io different from most of the competitors on the market is the ability to deposit funds with credit or debit card. Therefore users are required to complete credit card verification to be in full compliance with KYC and AML policies. Credit card verification procedure is easy and company has a detailed video guide on how to complete it without any problems. Once the verification is complete, users can deposit or withdraw funds in all supported currencies. Cex.io charges relatively high fees comparison to other cryptocurrency exchanges. At time of writing, transaction fees are contingent upon trading volume, which is calculated every day at 00:00 GMT and includes current day trades, and start from 0.25% for market makers and 0.16% for takers. Fees may be reduced once the required trading volume is reached. Deposits and withdrawal fees are quite high as well. Look at the screenshot below to see fees charged when making withdrawal pr deposit in EUR or USD currency. Generally, CEX is renowned for its customer support service, which is not a typical strong-point of bitcoin brokers. CEX offers customer support via email and a comprehensive FAQ tab. Although several complaints can be found online about the Company’s customer support, it would seem from some tests that they are relatively responsive and do take the time to respond to online criticisms. In the cryptocurrency community, CEX has a mixed reputation, as it is often the target of bad publicity and poor user reviews. 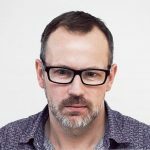 The difficulties that some users encounter while verifying their identity, as well as perceived hidden fees in the service and customer support issues are the cause of most of these negative comments. Although the primary disadvantage of the CEX platform is the high service fees, it does remain a reliable platform for buying and selling Bitcoin and Ethereum. 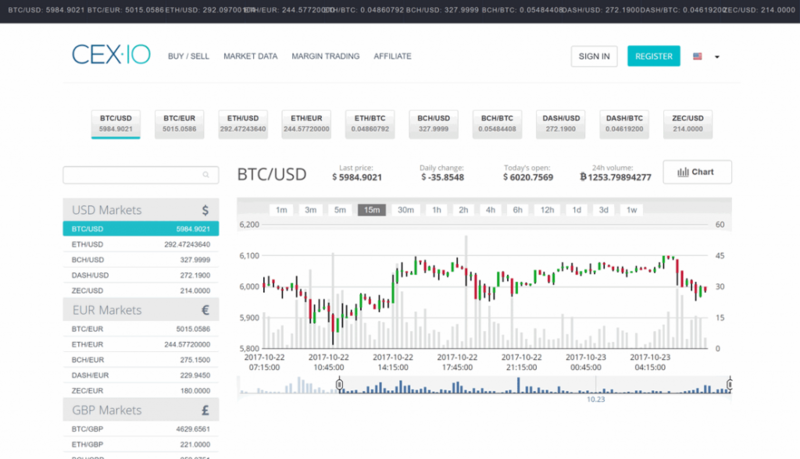 Its user-friendly interface is excellent for newcomers, and it gives a quick and straightforward entrance into the cryptocurrency space. Regarding supported countries, all countries are supported on the CEX.io exchange. However, the following countries are restricted for buying bitcoin with credit/debit card: Iceland, Vietnam, Yemen, Afghanistan, Bahrain, Iraq, Kuwait, Lebanon, Algeria, Libya, Nigeria, Oman, Pakistan, Palestine, Qatar, and Saudi Arabia. There have been a growing number of negative reviews about the company. Most of the reviews were related to hidden fees and withdrawal delays. Some users pointed to unfortunate experience when the company required full verification to process with withdrawal of Bitcoins to wallet, even though the company clearly stated in the user policy that full verification was only necessary for transactions with fiat currencies. We have not experienced any of the negativity mentioned above but we believe there is definitely some cause for concern. We recommend users to take additional caution before dealing with CEX.io and because of that cannot directly recommend the exchange for those willing to have a fast start.